Home World UK’s ‘highest taxpayers’ revealed, but which top earners DIDN’T make the list? UK's 'highest taxpayers' revealed, but which top earners DIDN'T make the list? The nation’s financial elite may be able to afford to minimise their tax bills – but Britain’s top 50 taxpayers still contributed nearly £2billion last year. The total they paid to the Treasury is enough to build five NHS hospitals – and even the lowest amount of £12.1million dwarfs the £4.5million notoriously paid by Amazon. 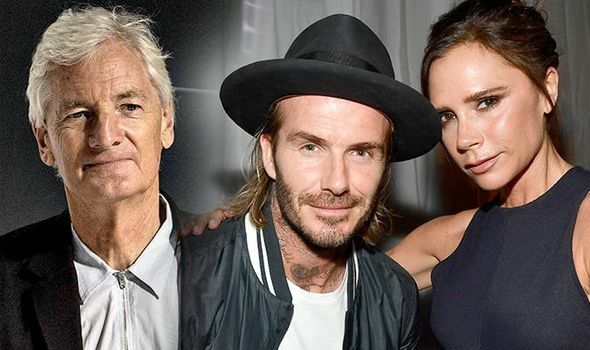 The list of those who pay Britain’s biggest tax bills includes inventor Sir James Dyson, Sports Direct tycoon Mike Ashley, insurance tycoon Sir Peter Wood and, at number 49, David and Victoria Beckham. HM Revenue and Customs also hit the jackpot with gambling entrepreneur Denise Coates, who paid £99million on her £220million salary. The 51-year-old, who comes in at No2 on the list compiled by The Sunday Times, turned her father’s chain of bookies into the online giant Bet365. Reportedly, she could have kept £15million of her tax bill if she had opted to take her salary as a dividend. Individuals’ personal tax arrangements are confidential, so the top 50 were compiled using public documents such as company accounts. This makes it likely that the the total paid is an underestimate because those named will probably have other liabilities. As tax is based on earnings, not wealth, the list will change from year to year. The top 50, based on calculations of income tax, stamp duty and the share of corporation tax paid on business interests, is topped by retailer Stephen Rubin, 81, whose Pentland Group runs brands including Speedo, Mitre and Berghaus. He and his family had a liability last year totalling £181.6million, comprising of £53.2million in corporation tax to which Pentland Group was liable in 2017 plus £6.9million of tax on their £18million dividend. On top of that is £121.6million from taxes levied on their 57.5 per cent share of JD Sports. Mr Rubin started out in business at his parents’ footwear wholesaler. He has since built up a fortune estimated at £2.8billion. Many of Britain’s richest people cut their tax liability by moving to tax havens such as Monaco, including Formula One champion Lewis Hamilton. Even though the 34-year-old earns £40million a year, and pays some tax in Britain, he doesn’t make the list because most of his taxes are paid in the Mediterannean principality. Chelsea owner Roman Abramovich, who is worth around £9billion, also managed to avoid being among the top 50 because he lives abroad, as do Virgin founder Sir Richard Branson and retail billionaire Sir Philip Green. But tax havens might not work for everyone. Chemicals entrepreneur Sir Jim Ratcliffe, 66, Britain’s richest man, plans to move to Monaco, but still comes in at No5 on the list because most of his tax bill comes from his firm, Ineos, which remains in this country.